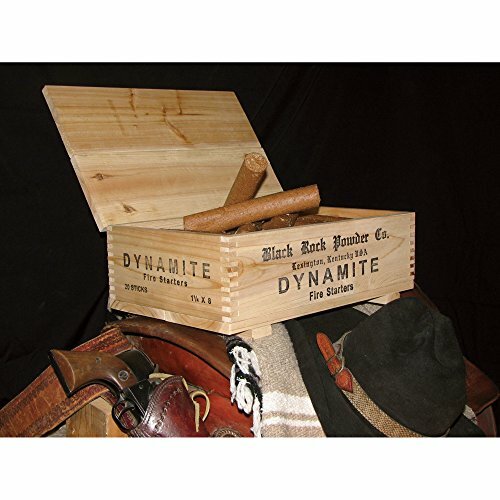 Dynamite Fire Starters - Moar Stuff - You don't need it but you know you want it. Crate is made of cedar wood - for an authentic look. 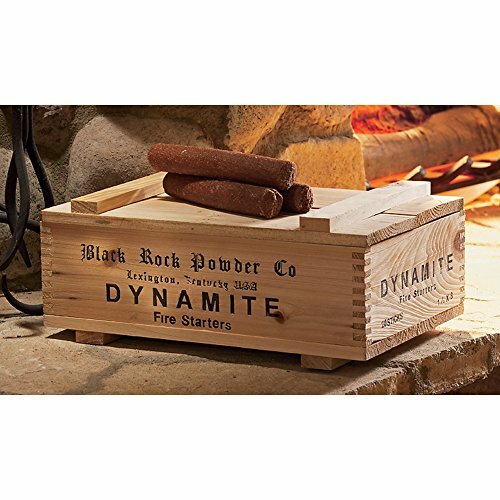 Lighting the fireplace or pot-bellied stove in your garage, workshop, or man cave can be a real blast when you use one of these Dynamite Fire Starters. 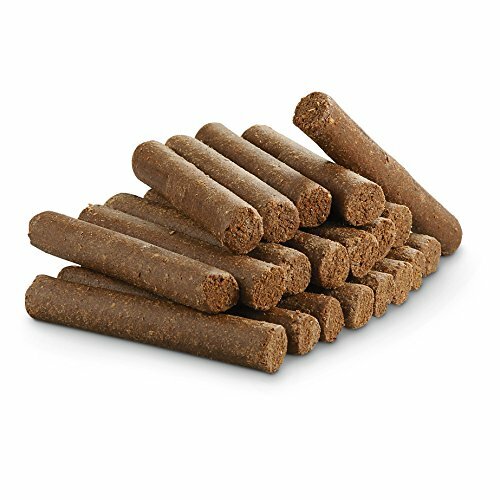 They look like a stick of dynamite but actually contain a mixture of paraffin and sawdust, making them a great choice for getting a fire going and raising a few eyebrows at the same time. They come in an old fashioned real cedar wood box. Each box contains 20 fire starter sticks that happen to look like sticks of dynamite. For some extra fun, get yourself some cannon fuse to stick in the end of the sticks before lighting them up. Need more fire starting sticks to put in the crate? Get them right here. These fire starting sticks work just like you would expect. They light easily, and burn for about 15 minutes. That’s plenty of time to get the wood in the fireplace, stove, or campfire going. As you might imagine, they make a great gag gift or gift for a man cave. Dimensions: 18 x 12 x 8 inches. 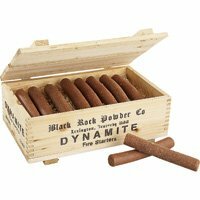 Comes with 20 fire starter sticks that look a lot like sticks of old dynamite.